Who they are: Akron Honey Company, run by Brent Wesley, is an urban apiary that harvests honey from hives local to the Akron area with ample consideration for the environment that is harvested, using no pesticides during beekeeping. Why we love them: We love that we get to enjoy fresh honey all year round due to their microbatching process! Team Flea Pick: Try dressing your biscuits in a bit of raw honey from Akron Honey Company’s Middlebury apiary, which has some floral and smoky notes to it. Who they are: Bombabird is collection of ceramic objects for your home inspired by utilitarian minimalism. Why we love them: Their lightly speckled neutral glazes remind us of a robin’s egg… perfect decor for your nest! Team Flea Pick: We’ll take a whole set of their textured white wide-mouth cappuccino cups! Who they are: Escher creates unique sunglass that solve the problem of overpaying for expensive sunglasses & only being able to get one color/style. Why we love them: Their line of outdoor eyewear is so durable, but if a part does need to be replaced just know that fixes are super affordable! Team Flea Pick: We love their custom shades. With the ability to pick the frame, lens, and arm colors and finishes to perfect our sunny style, we feel unstoppable. Who they are: Fat T's Cookies is an artisan cookie company that specializes in larger than life cookies, both in flavor and appearance. Why we love them: Big. Fat. Chewy. Quarter Pound Cookies. Team Flea Pick: S’more cookies are a thing, and they are just as great as the campfire treat! Who they are: GRAMMAR is handmade, sculptural ceramic jewelry with an obsession for minimal forms & a belief that what we wear communicates individualism. Why we love them: Their aesthetic is so polished! Team Flea Pick: Their ceramic capped curve pendant is a fun accessory for a day at The Flea… it looks just like the smiles on our faces when we walk through the event! Who they are: Handmade by Chelsea is a luxury bake shop that specializes in whimsical & delicious cut-out sugar cookies for any occasion. Why we love them: As if being all beautiful and whimsical wasn’t enough, Chelsea’s cookies are also absolutely delicious. Somehow they taste even better than they look. You’re making the rest of us look bad, Chelsea! Team Flea Pick: Do we smell some Cleveland Baseball cookies baking? Who they are: Sarah Harste handcrafts her weavings and macrame pieces to bring joy to modern homes. Why we love them: The bright colors and extra texture in Sarah’s weavings make her work a delightful reminder of bright and sunny days on the darker, drearier ones. 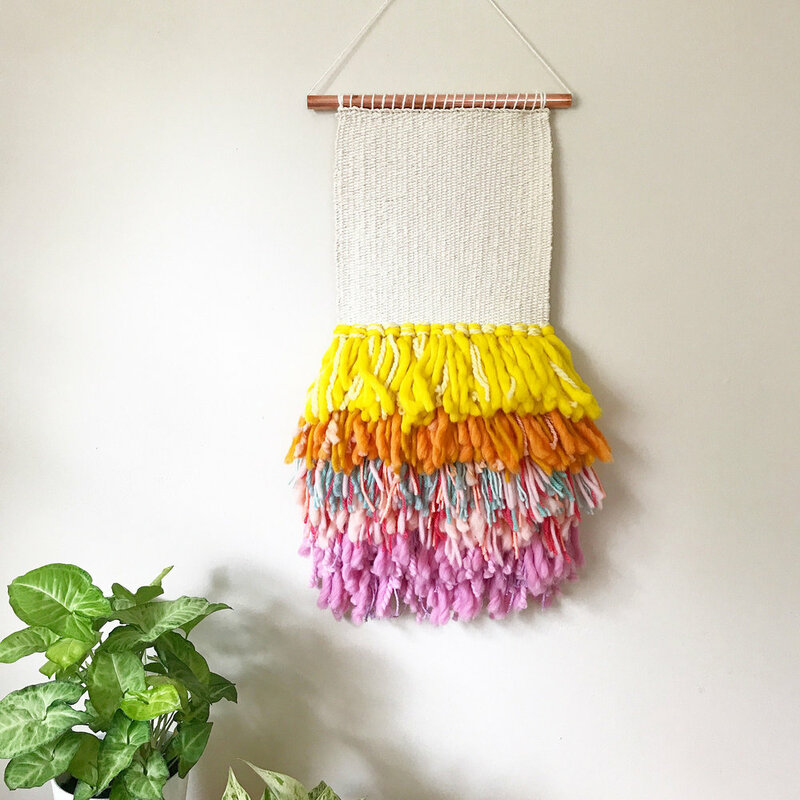 Team Flea Pick: Get us one of those DIY weaving kit lap looms and then TEACH US YOUR WAYS, SARAH!